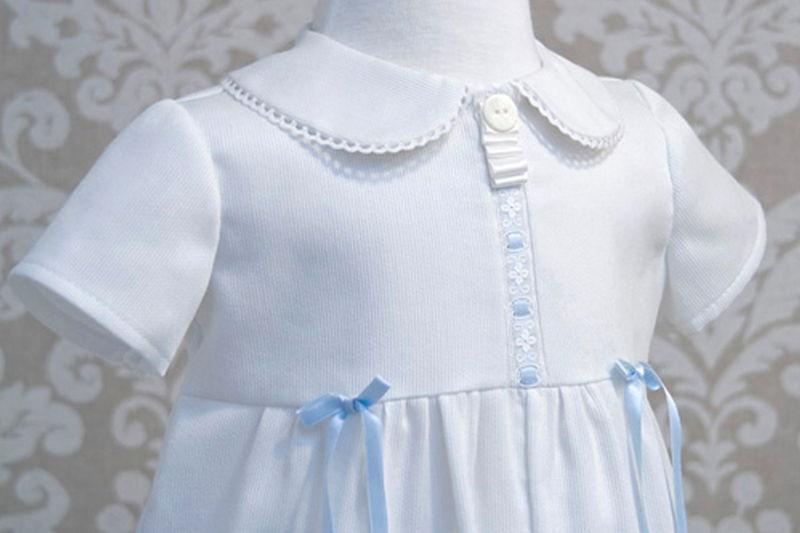 A wonderful christening outfit for your little gentlemen. He can be both comfortable and elegant in this one-piece outfit. Handsome during the ceremony and wonderfully comfortable for the rest of the day. 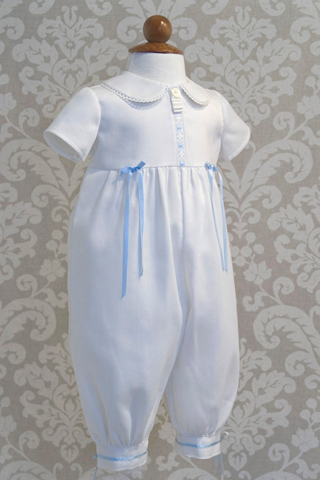 At Heirloom Memories, we create couture and comfortable boys christening outfits in cotton, silk or linen. All Heirloom Memories christening outfits are lovingly handmade in the USA. 100% cotton – Hand wash in lukewarm water, with a soft detergent. Air Dry. Press with iron on cotton setting. 100% linen – Hand wash in cool water, with a soft detergent. Air Dry. Press with iron on cotton setting. 100% silk – Dry Clean Only. Custom orders for embroidery are accepted whenever possible. Please contact Heirloom Memories for your custom request.